A hint of paradise. 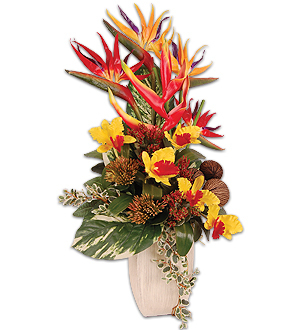 Vibrant yellow Cattleya with red speckled throat and Bird of Paradise. Cattleya also available in White with purple or yellow throat. Measures 100cm.